The 1893 World’s Fair in Chicago was one of the most incredible tourist draws of the time. People flocked to experience the food, displays, and demonstrations. All around the fairgrounds hotels and inns were filled to overflowing with those seeking the frivolity and fun that awaited them at the fair. One of these hotels, however, allowed few guests to check out. It was in this hotel, less than two miles from the fairgrounds, that an unassuming-looking man named H.H. Holmes plied his trade. 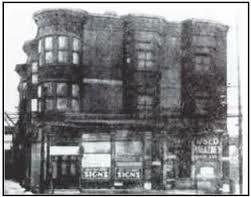 Known as the “Murder Castle”, this three-story hotel was as horrific as it was disturbingly beautiful. In the tangled web of windowless rooms, doors that led nowhere, airless vaults, and soundproof chambers. Within this elaborate labyrinth of terror as many as 200 victims, mostly women, were tortured and killed. Some were left to suffocate in the vaults, others were gassed in their rooms, and still others fell to the stretching rack. Bodies were dropped through secret chutes into the basement. Here they became the playthings of the monstrous innkeeper. Some were cremated in the enormous furnaces or dissolved in pits of acid or lime. Others were stripped of their skin and relieved of their inner organs. The resulting skeleton models were then sold to medical programs for classroom demonstrations. All the while H.H. thrived on the insurance proceeds from several female employees he hired with the requirement that they take out life insurance policies with their employer as the sole beneficiary. After the Fair closed, H.H. went on to commit several more murders, including three children that eventually sealed his fate with the discovery of their remains. 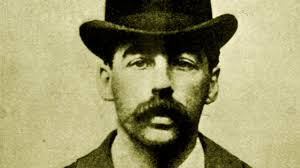 In May of 1896, less than 3 years after his gruesome spree, Holmes was hanged for his crime, dangling from the rope for nearly 20 minutes before being proclaimed dead.